When I was an undergraduate English writing major with an eye on a journalism career, my father tried to talk me into picking up a minor in business every time I called home. I ignored him. Every time. It didn’t matter how often he explained that understanding business was valuable or pointed out that if the journalism thing didn’t work out, I’d still be employable. My heart was set on being a reporter. Business sounded boring. Even, quite frankly, a little dirty. 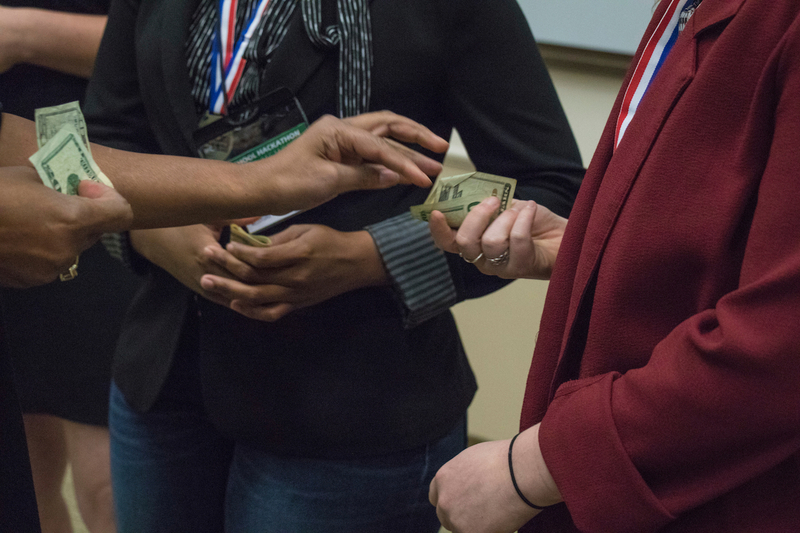 One weekend at the Hackathon made me realize what a disservice I’m doing to my students — and to journalism in general — by not exposing students more broadly to business principles. Now I’m a journalism teacher, and even though I tell my students how the journalism industry is changing and how the “church and state” concept of separating the newsroom from the business side isn’t so strict anymore, I still don’t spend enough time on business. That’s going to change. One weekend at MediaShift’s 5th Journalism School Hackathon at the University of North Texas made me realize what a disservice I’m doing to my students — and to journalism in general — by not exposing students more broadly to business principles. 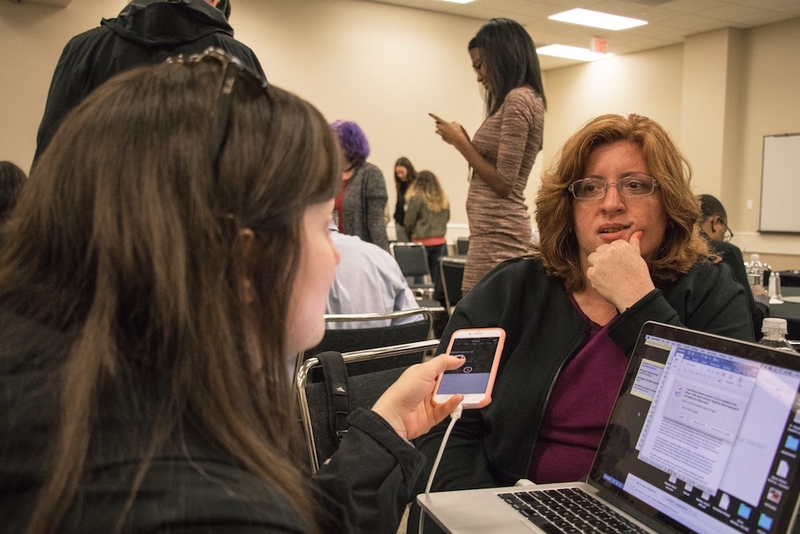 For a day and a half in mid-October, we focused on the business of journalism at the Hackathon. Four-person student teams developed startup ideas for services, products or apps, and their focus was clear from their team names: Team Pingpong was sports-focused; Team Reflex Hammer meant health. Each team then got a revenue model, and students brainstormed, argued and created a business plan to pitch to judges Sunday afternoon. Faculty and professionals facilitated. The two students I accompanied to the Hackathon zeroed in on this right away. They’re both journalism majors, and after the first day of the Hackathon, they discussed how little journalism they’d done in the previous 14 hours. “This was Gateway 3,” they agreed. Gateway to Media 3 is a required class for all students in the University of Oregon’s School of Journalism and Communications that focuses on storytelling from a strategic communications perspective. The students work in teams. They get a client from the community. The classroom examples are advertising, marketing and messaging. Most of the j-students hate it. They’re thinking as I did when I was in their seats: PR? That’s the dark side. But it’s not that simple. At the very least, students need to understand branding themselves through their social media, professional websites and/or portfolios. That takes a strategic mindset that is related to journalistic storytelling, but different. When I was a student, I hated group projects. Now that I’m a teacher, I don’t assign them. Like a lot of nerdy students who grew up and found a home in academia, I was the person who ended up doing all of the work, and I didn’t want to be responsible for inflicting that on another generation of students. Plus, I’m a writer. And an introvert. When I create something, I lock the door and sit by myself. Many of my journalist colleagues and friends are wired in a similar fashion, and I see this in j-students, too. The conference rooms in our building are filled with advertising and public relations students. The j-students are hiding in the corners or in another building or in the corner of a coffee shop. Journalists value independence. That’s often a strength, but it sometimes blinds us to the ways we can work together, whether that’s collaborating across newsrooms or within newsrooms. And it hurts final products when journalists, uncomfortable as part of a team and/or uncertain about business concepts, shy away from opportunities to get involved. One thing about the final projects stood out to me: All of the teams had journalism students, but none of them found a way to actually pay the people who were going to write the stories, take the photos and design the platforms. Team Skateboard, for instance, which I facilitated, had a terrific idea about creating a website that would cover sports from a female perspective, not as an add-on to a website or brand that was primarily concerned with covering male athletes. The students knew they couldn’t raise enough money to pay writers, so they decided to hire college students who wanted experience. We need journalists themselves to be in the conversations about funding models and startup costs. We need them to be fluent enough in business principles that they can argue for paying actual journalists – and articulate the value of it. The Hackathon began with a talk from Retha Hill, executive director of the Digital Innovation and Entrepreneurship Lab at Arizona State University’s Cronkite School. She set the tone for the weekend by explaining human-centered design, and it was a great place to start for those of us who were journalists. Here’s why: This strategic technique follows — for the most part — the way great journalists do their work, that is, interviewing people about how and why they do something, digging into their lives and asking why. Brainstorming ideas, not deliberating, but tossing them out. Narrowing the list. Selecting the best possible one. This makes good business sense. And you know, it makes good journalism sense, too. Let’s not assume we know what the story is when we show up to report. Let’s listen to the people affected. Really listen. Let’s identify their pain points, not our editors’. After all these years, it turns out that my dad was right. Again.